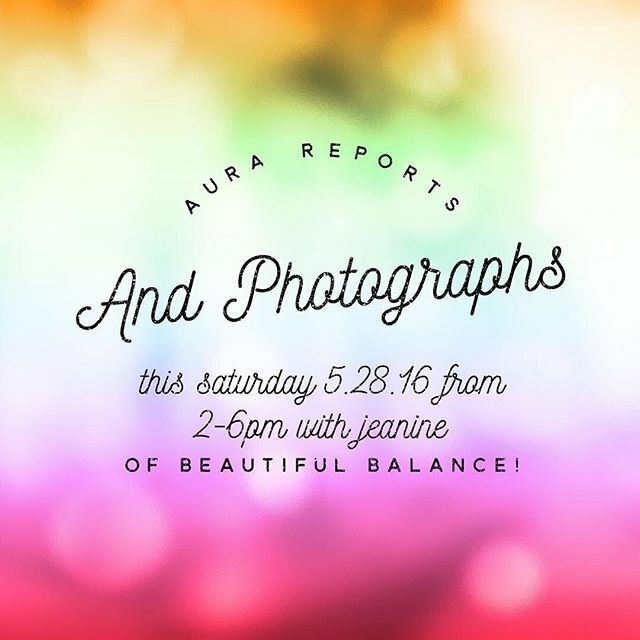 Come join us this Saturday May 28, 2016 for #Aura photos and reports with Jeanine of #beautifulbalance ! Gain insight of your energetic field and balance! Only a few spaces are available! Call us at 760.753.2345 for more information or to reserve your space!